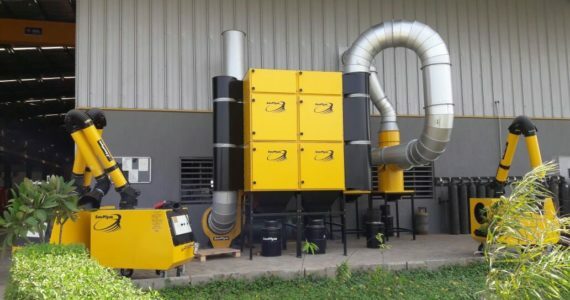 PROBLEM: Plasma Cutting machine, which makes lot of fumes where generated & getting spread all over workshop. 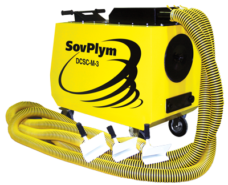 SOLUTION: SovPlym offered Dust Collector unit with cyclone separator & fan, where dust / fumes were getting extracted from Plasma Cutting Machine. 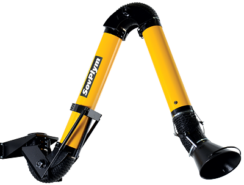 Self-cleaning mobile filter for work inside tanks, cisterns or other closed areas. Up to 3 welding posts. 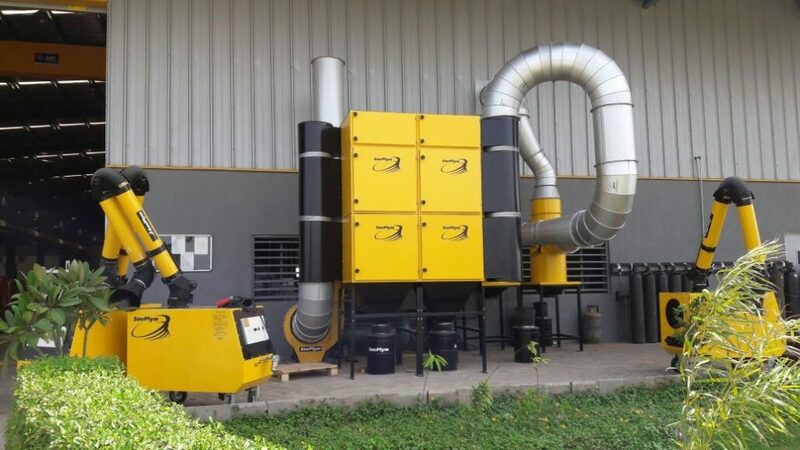 Built-in filter cleaning system. Requires compressed air supply.